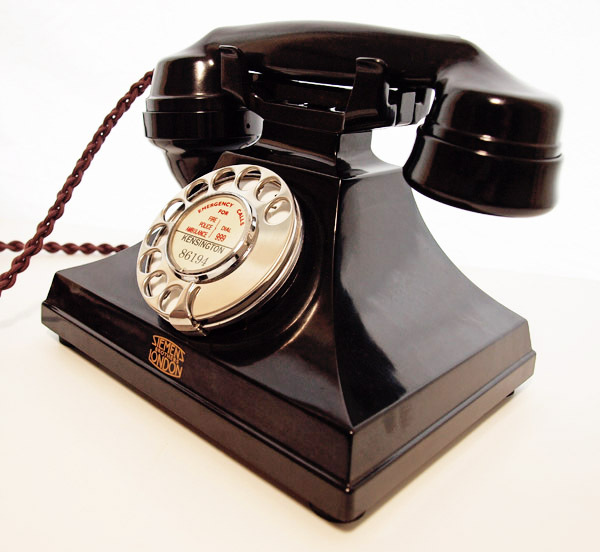 << Back Black Bakelite Siemens 312. A wonderful example and very sought after in this condition. This is in wonderful condition and has been totally stripped down and rebuilt after each part has been cleaned and polished. It has a lovely No 12 with perfect number only enamel dial face. The case has no side cracks as is very common with this model and is as good as I have seen. 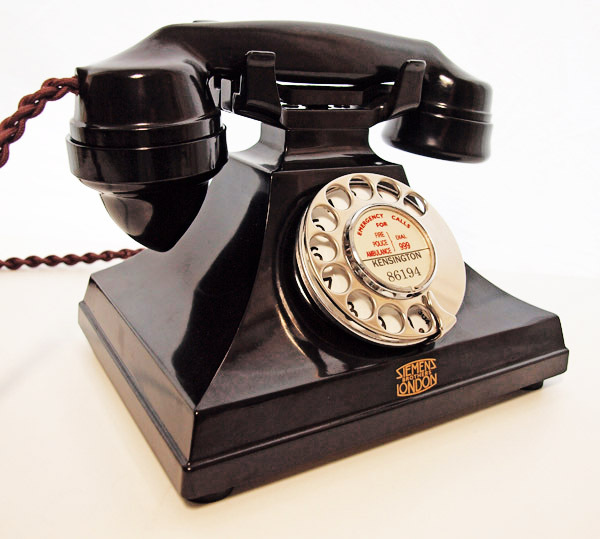 This model has an internal bell and would date from the early 1930s to the early 1950s. It has been fitted with a very best British manufactured hand plaited braided cord and an electronic microphone for perfect speech quality. This telephone has been set up and tested on a special line simulator to allow the dial to be accurately set up to work on any network. 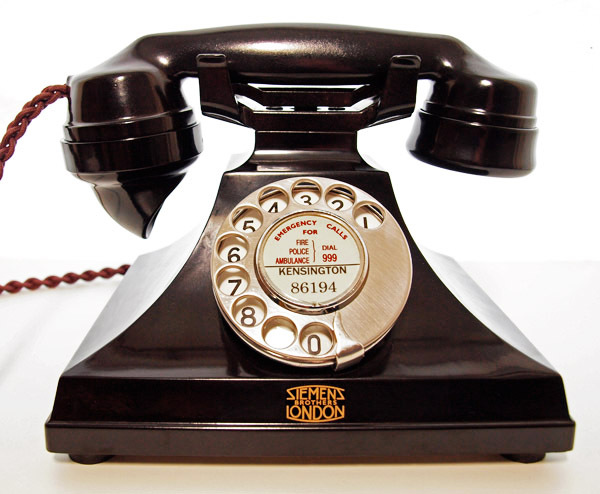 As you can see this is a real statement telephone and screams Art Deco. I can make a dial label with your information at no extra cost.